A new feature to the blog, I found myself intrigued about what inspires authors to write in certain genres, so I thought I would give them the chance to tell us all about the books, films and music that inspired them to write their latest book. First to talk about his inspirations in Edward Hogan as his debut YA book Daylight Saving hits the bookshops. I am very easily frightened. I’ve always had pretty terrible nightmares that cause me to shout out in my sleep (much to the distress of my little brother, when we shared a room). I decided to tap into some of that darkness with my book Daylight Saving. I’m new to writing ghost stories, so I’m reading lots at the moment, and trying to learn from them. Below is some spooky stuff that I’ve enjoyed recently. A Monster Calls – Patrick Ness (from an idea by Siobhan Dowd) – The scariest stories aren’t about evil, they’re about the disturbing thoughts that are inside you already. The feelings you can’t accept. Conor is losing his mother to cancer, and is visited by a huge, riddling, tree-like monster. The story contains all the guilt, rage, heartbreak and redemption of bereavement. It’s perfect. 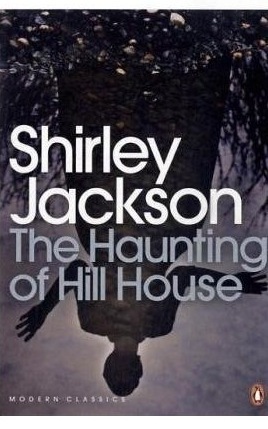 The Haunting of Hill House – Shirley Jackson – If you were stuck in a haunted house with three other Shirley Jackson characters, the last thing you’d be worried about would be the ghosts! These people are complex, cruel and funny. The Haunting really does mess with your head, and the famous ‘hand-holding’ scene is truly horrible. 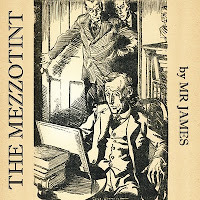 ‘The Mezzotint’ – M.R. James. One of the best ghost story writers, ever. In The Mezzotint, an art historian notices a frightening figure in an old picture of a manor house. It’s more fearful still when the figure starts moving towards the building. The 1968 BBC version of James’ Whistle and I’ll Come to You is also worth a watch. The Virago Book of Ghost Stories – A wonderful collection written by women. There are contributions from Charlotte Bronte and the excellent May Sinclair, as well as modern day writers. 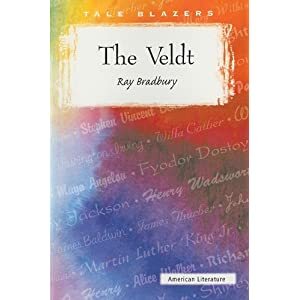 A.S. Byatt’s story is a moving study of loss, and ‘Black Dog’ by Penelope Lively is a gripping tale of marriage and oppression with a brilliant ending. Let The Right One In (directed by Tomas Alfredson, from the novel by John Ajvide Lindqvist) – The vampire craze passed me by, but this Swedish film is breathtaking. It’s about a bullied youth called Oskar, and Eli, a vampire. The film treats vampirism as a childcare issue (girl’s gotta eat! ), and the finale, in the school swimming pool, is one of the most shocking things I’ve ever seen. I still don’t know how I feel about it! Tyme’s End – B.R. Collins – This story moves cleverly back in time, showing how each character relates to a haunted house. The final section is about a former World War II soldier with a devastating secret. Collins makes the point that official history can sometimes give a very inaccurate account of a person. 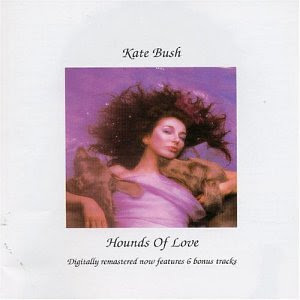 The Hounds of Love – Kate Bush – What?! This is a genuinely spooky album with some great ideas. There is a song about a mother who protects her murderous daughter, a song about someone trapped under ice, and a great little track about a woman watching over her haunted husband (which pre-empts The Sixth Sense). It’s all witches and dogs. 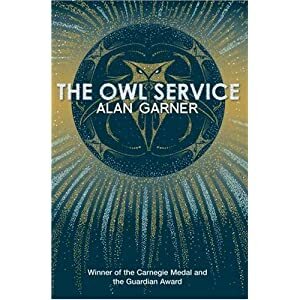 The Owl Service – Alan Garner - I’m in the middle of this one, and I love the way it taps into a local legend of jealous love. The bizarrely imaginative premise (the title refers to a stack of dinner plates with uncanny properties) really appeals to me, as does the seriously menacing atmosphere. I like this feature! I just picked up a Monster Calls and I am looking forward to reading it..
Great post, I love hearing what inspires other people. You always come up with the best new features, Vivienne :) Nice to read about the books that inspired Edward. I also note, with interest, that several of the authors that write ghost stories or horror etc. says they are easily scared. I wonder if it is somehow easier to write about things we can relate to, like being afraid of having monsters in your basement(not that I am scared or anything! LOL ;)). Great feature Viv. And thanks to Edward do want to read The Haunting of Hill House.